What Exactly are Interchange Fees? We’ve heard a lot about interchange fees lately, but do you know what they are and who they affect? And did you know these interchange fees have resulted in what’s being called the largest private antitrust lawsuit in U.S. history? Here’s what they are, what it means for retailers and what it means for you as a consumer. A new appeal was filed this week in the U.S. District Court for the Eastern District of New York. The suit includes the National Association of Convenience Stores, the National Restaurant Association and at least eight more groups with something at stake. Specifically, at stake is a $7.2 billion court ruling that was handed down this month. It was meant to finally settle allegations that included fee fixing by the big credit card companies and breaching federal antitrust laws. The people who used to sit on Visa’s board of directors are now on MasterCard’s and vice versa. Visa and MasterCard’s rates always go up together. I need to make sure my customers are satisfied or I can lose their business. That’s why it’s a monopoly, because their costs keep going up and we have no choice but to pay. MasterCard responded to those allegations, “Simply put, it’s not true.” It also said that it operated independently and considers other credit card companies its competition and as a result, it would “compete vigorously”. For its part, Visa said its interchange rates are, “set in a dynamic and competitive marketplace.” It warned that if the merchants prevail in court, consumers will end up paying more for goods and services. But what led up to this massive and controversial lawsuit? To understand, we have to take a look back. The owners of the mom-and-pop gas stations were saying they paid more in interchange for a tank of gas then they were making themselves. I looked into it and learned that that was the business model of the credit card companies. I was aware that they would rip off individual consumers, and then I started to see that the merchant was in the same position. For the reform to be successful, there had to be transparency in the laws. Our culture relies on credit. There is a cost to the money. It’s not going to be free. In the United States, 1.8% of every purchase made from retailers, service providers and online entities is tacked onto the consumer’s final total. These fees earned those big entities more than $35 billion in 2010 alone. In many companies, these interchange fees are the second highest expense, with payrolls being the biggest expense. Retailers have complained for years that these fees are too high. When they initially squared off in court, retailers did not want to be barred from filing future lawsuits – and therein lies part of the ongoing controversy. There is no data from Visa and MasterCard, and the best way to make policy is to do it on an informed basis. Those who disagree, including Trish Wexler, spokesperson for the Electronic Payments Coalition, said the fees are necessary and merchants shouldn’t over think the model since they’re not taking on the risky credit card debt. The consumer takes his goods, pays with credit and is on his way. If that consumer defaults before the debt is paid off, the merchant has long since received his money. 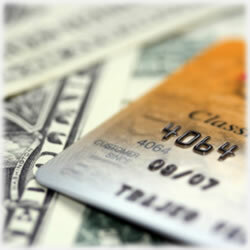 And, she says, shoppers who use their credit cards are far more likely to spend more. All of these dynamics finally culminated into the long and drawn out court case that continues to roll forward. Frankly, with so many moving parts, it’s anyone’s guess as to how it ultimately is played out. Make no mistake, though, the final outcome will most certainly affect your wallet and since retailers and other merchants can’t tell how you’ll make your purchases, even customers who use cash will pay a part of those interchange fees. If the retailers get their way, it could be you’re not paying as much in the future as you were a few years ago. Even More Turning to Credit Unions?